On Carnival Tuesday, the climax of the season of festivities in Trinidad and Tobago, Asami Nagakiya was murdered; her body, found on Ash Wednesday, was still clad in her costume. Asami, a petite 30-year-old, had been an avid steel pan player, journeying from her home in Japan annually to partake in the music and the masquerade. This year was her last. She was strangled and bundled in the underbrush of a tree in the vicinity of Queen's Park Savannah. Bruise marks surfaced but the autopsy results, released five weeks later, would rule out a sexual assault. The mayor of the city of Port-of-Spain, Raymond Tim Kee, took the opportunity of her murder to admonish women for vulgar behaviour, reportedly saying, "the woman has the responsibility to ensure that [she is] not abused". He cited his pre-Carnival sermon: "My argument was, you could enjoy Carnival without going through that routine… of prancing and partying. Then why you can't continue with that and maintain some kind of dignity?" When national ire broke on his head, he offered an apology of sorts: he had not meant to offend, and look, some people endorsed his sentiments. The situation provoked protests and headlines around the world, and following relentless calls for his resignation even as he vacillated, he eventually resigned. Listening to the radio talk shows where peppery arguments raged on both sides, I was struck by the insistence of one male host that too much was being made of it. What's the big deal? His position was that people were overreacting. His female co-host, who had begun with a very clear and emphatic denunciation of the mayor's remarks, tangibly wilted under the brunt of his brusque dismissiveness and the vehemence of callers aligned with him. 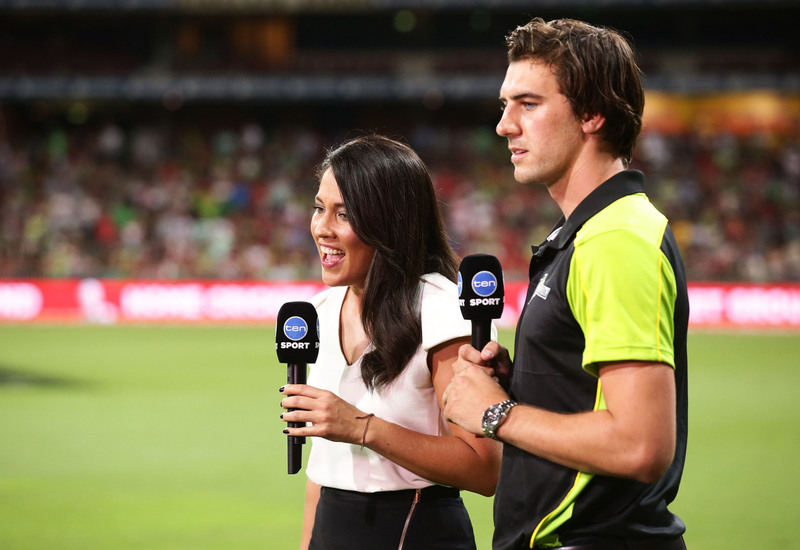 It was essentially the same kind of responses that had circulated like wildfire after Chris Gayle's boorish proposition to the television reporter Mel McLaughlin in early January. I do not recall seeing anyone applaud Gayle's tacky solicitation, and while condemnations resounded immediately, they came under attack for several familiar reasons: Gayle was being unfairly singled out because he was West Indian or black or popular. Others have done it; why else was he being picked on? Sports personalities knocked Gayle, even those who might have been guilty of similar conduct in their time. Hypocrisy was splattered everywhere. Truth be told, Gayle was the least significant player in this issue, and if it weren't for the fact that he generated it, I wouldn't even waste time mentioning him. He is merely a mindless soldier in the vulgar battle of chauvinism that still exists in every sphere. The consequences have been largely ignored in the conversations following this latest public eruption. One of the more insidious statements came from Professor Hilary Beckles, who declared himself to be "first and foremost an educator". 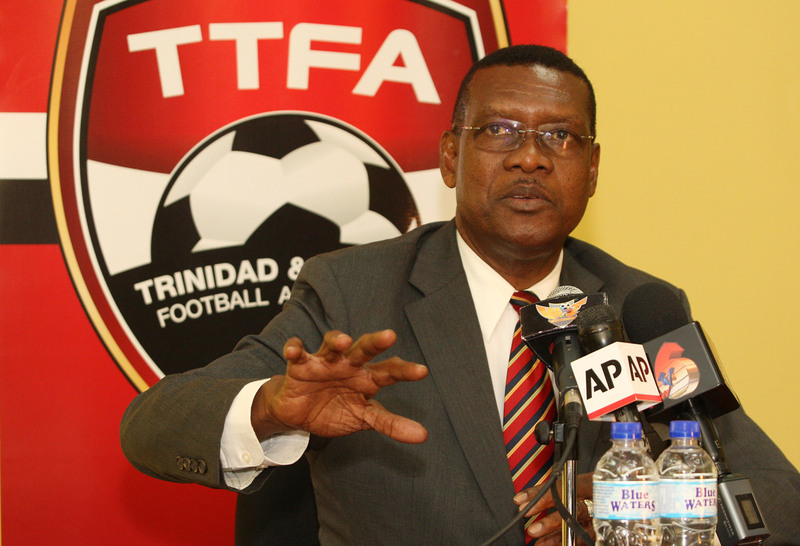 "I take his word for what [Gayle] said, that he meant no offence. I take his word for that," he said. He told the region that since he had accepted that Gayle meant no offence, we should all put it behind us and "big him up", as he had an important role to play in West Indies cricket. Ironically, the day after Beckles declared that Gayle had been "humbled", Gayle went on social media to say, "Y'all can kiss my 'Black Rass.'" If you did not know that Gayle was 36 and not a teenager, you would think the Educator was making excuses for a child's indiscretion. There is no reference to the negative impact it has on women, and it is clear there is no concern for gender relations. The message was that Gayle is simply too important to West Indies cricket for us to dwell on his chauvinism. And the underlying point is that it is okay to be a creep if you are a success elsewhere. The mayor and the Educator represent two elements of an old boys' network (it includes churches, schools and corporations) that continually reinforces chauvinism, often from early childhood. And while it might seem a stretch to link these two wretched stories - a murder and a proposition - they illustrate the subliminal messages transmitted to males and females. Men are still ascribing to themselves a superior role. They know what is best. Women are objects; physical spaces to be claimed and occupied by men as they see fit. Men have no reason to be responsible for their actions - if a woman looks "hot" she is asking for it. The burden will always lie on the shoulders of women. The mayor was forced to apologise and resign, but not even a whisper of an apology has come from the Educator, and it is the very least he can do given the damaging nature of his insensitive comments. Gayle did nothing new. With the complicity of social media he has been flaunting his machismo for years, crassly denigrating women and posturing as a stud. It is vulgar and embarrassing, and while I agree that there is almost a gleeful air to the condemnations because he is West Indian/black/popular, it does not excuse or exonerate him. He was repeating a learned behaviour, and those who foster it should be held up to equal opprobrium. And what of the impact on women? Twenty years ago, when I decided I wanted to write about cricket, I knew I had to bring a perspective that was different. It couldn't be reportage, it couldn't be just profiles of players; it had to be something more. I decided that I would take to analysis and commentary based on history and sociology. If I wanted to make my way into a male-dominated world, I would have to walk in on a solid platform or they would tear me to shreds. My work had to be impeccable. So I read. I read books on cricket, on sport; social histories, biographies, magazines, journals, newspapers, everything I could get my hands on. I talked to cricketers. I began to seek out the older players and administrators - not just when I was working on a particular piece, but whenever chance presented an opportunity. 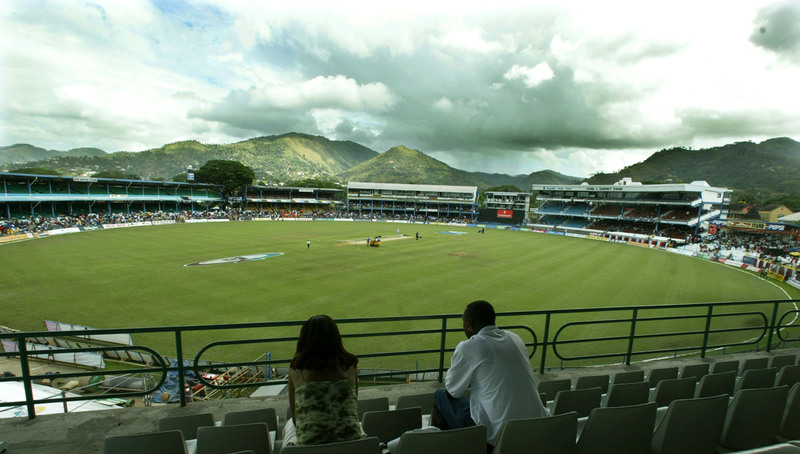 I would go to matches at the Queen's Park Oval, hang about at the small grounds, tasting the culture of the cricket world, joining in old talk with anybody and everybody, and so, when the time came to write, I could bring those moments in to shape my commentaries. It wasn't easy. There was a lot of resistance from within the journalism community. You have to remember this was 20 years ago, and women's voices were not part of the sports world. Sure, they could compete as athletes but it was not on equal grounds, and the sports pages hardly paid attention to their achievements or their struggles. It was hard to be taken seriously. I had to be careful that everything I wrote was solid, could be defended, because there were many within the community who scoffed at the idea. I had to work harder. I had started writing a column, called "Firefly", which ran for several years in various regional newspapers. The editor at the Trinidad Guardian tolerated the ones on cricket for a short time, then sent me a note saying that he felt people had had enough of the novelty of a woman writing on cricket and he would prefer it if I didn't continue. The column moved to the Independent, and when that newspaper folded, to the Express, where I was fortunate to have an editor who was a sports lover. He would read it and send me notes that helped me add depth to what I was writing. In 1996 something happened that became a major aspect of my relationship with cricket. The Queen's Park Cricket Club (QPCC) was celebrating its centenary, and I went to interview Gerry Gomez, a former West Indies player who was the president of the club. We had an interesting conversation, and somewhere towards the end, I asked him about the club's policy regarding female membership. He told me that though there was no written rule debarring women from joining, no member had yet had the temerity to propose a female for membership. Let me quote his words. "It is a gentleman's club. It is regarded as a sort of man's sanctuary. Right off the top of my head, if we opened the club for female membership, it would transform the club physically… I think generally speaking, its history is as a man's club. Men come here to relax away from females." In fact, among the clauses was one that said members were not permitted to introduce as visitors rejected candidates, ladies, or children under the age of 14. I was scandalised and it showed. Gomez looked at my expression and sighed. "I suppose you are going to apply," he said wearily. I did. My first application was denied, and the second, lodged as soon as the six-month waiting period had elapsed, took about three years to get a reply. It would be nearly ten years before the application would be approved. It became a crusade for me. I wrote endless columns, several letters, and spoke about it wherever I could. I talked about the history of the club, its reputation as a whites-only enclave, how it had gradually been forced into accepting members of other shades. I reminded people that one of its most celebrated members was Brian Lara, and that he would not have been allowed in a couple of decades ago - how even so, his mother still could not sit in the Members' Pavilion to watch her son shine. I said that as a practising journalist who was debarred from entering spaces that my male colleagues could enter, the club was affecting my right to practise my profession. And it is worth noting here that none of my male colleagues ever wrote a line or said a word to support my campaign. I spoke about the campaigns by CLR James, by Sir Learie Constantine, to promote racial inclusion, and I invited the club to consider that the Marylebone Cricket Club (MCC), the custodians of Lord's, were at the time considering opening up membership to women. Change your rules now, I urged privately, do it before the MCC. Well, the MCC went and did it and QPCC did not budge. One day, not a cricket day, I had just done an interview somewhere out on the grounds. The club's manager, Joey Carew, might have been showing me how they prepare the pitch, and when I was through, hot and thirsty, I went to the bar in the pavilion and asked for a drink, a soda I think. The bartender told me he could not serve me. I was taken aback and asked if they were closed. No, he could not sell me a drink because I was a woman. I asked if he could consider giving me a glass of water for free, so he would not be selling to me; but he was adamant. He could not. That was how it was. Members of the club took the opportunity to respond to my application by singing about me at their calypso fiesta in 2000. Three calypsos immortalised me that year. Here are some lyrics from one, rendered by George Wilcox, who, attired in wig and make-up, sang under the name of Pappy. I carried the lyrics in my column then - with his permission; the authors of the others would not let me, saying they were too lewd. Pappy's song was called "I Want to Be a Member." In 2007 I was finally accepted as a member. It was because in 2004 I had been asked to be a member of the board for the ICC Cricket World Cup, which was to take place in the West Indies. I wrote to the club saying that one of the ICC regulations was that no ground practising discrimination of any form, including by gender, would qualify as a host ground. I promised them that it was an issue I would raise, and it was this, I think, that caused them to change their mind. While much has changed, it is still far more common than we would think to encounter behaviours that are highly charged with testosterone. More often than not, whenever I approached a cricketer or a cricket administrator to do an interview or just ask a question, the first response would be flirtatious in nature. Some were subtle, some were crass, some offered a kind of perfunctory thrust, you know, like, lemme just try something and see what happens. It was as if there was some unspoken rule that when a man encountered a woman, his first job was to see if she would be receptive to some flirting or ad hoc courtship. It took negotiating, learning to manoeuvre past the ritual, because in most cases it meant nothing. Sometimes it became quite annoying - like the cricketer who called my house at 6am from South Africa (how he got my number I don't know) to say he just wanted to hear how my wake-up voice sounded. It seemed he was convinced that I would be bowled over (yes, he was a fast bowler) by the idea that he had called me from Johannesburg. Or the one who invited me to come up to his hotel room so he could bare all for an interview. I looked at him and said, "Young man, you are young enough to be my son, have some behaviour." His manner changed immediately and we had a pretty good interview after that. I had to deal with being a sexual target. I had to consider whether I was dressed in a way that might invite solicitation. I had to deal with an irate partner who assumed that I "encouraged" the advances. I had to deal with being excluded from the Queen's Park Oval pavilion where male journalists could come and go if they needed to speak with people within. I would not be invited to functions that other (male) journalists were invited to. 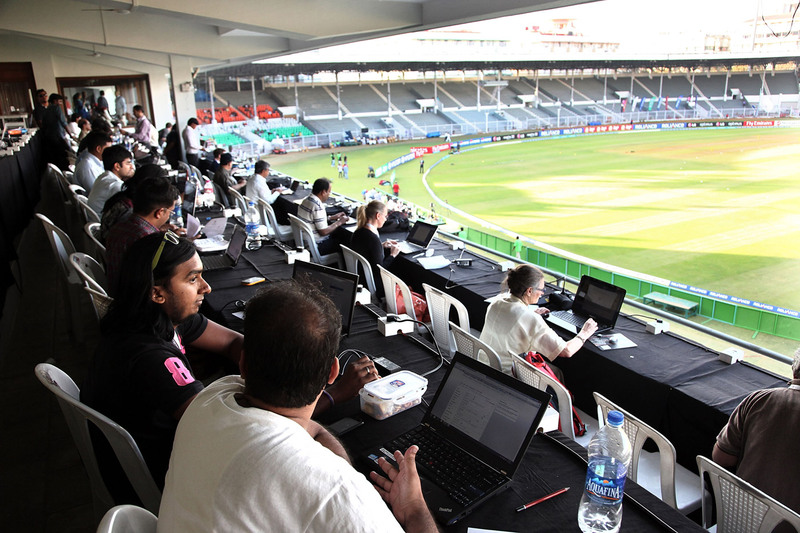 I would be given the silent treatment from many male journalists in the media boxes; and I certainly was not welcome at certain cricket clubs. I was routinely described as this one's or that one's girlfriend. If I got an exclusive interview, it was suggested I got it by sleeping with the subject. Were they obstacles to my career? Of course they were. History is littered with stories like these. Race, class or gender biases acting as agents to block careers and ruin lives. Those who felt Gayle's sin was being exaggerated whisked out the race card. And while attention is rightfully placed on declaring these behaviours to be unacceptable, hardly any consideration is given to the forces that perpetuate the behaviour, hardly a thought is spared for the victims. Whatever direction her career takes off in, Mel McLaughlin will always be associated with that "Don't blush, baby" remark. She will always be scrutinised to see what it was about her that so titillated Chris Gayle. And like the tragic case of Asami Nagakiya, yet another woman is twice made the victim of a man's world. Where are the women on England cricket's power list?